If you’ve got a baby at home, you know how expensive disposable diapers can be. Cloth diapers can be a great way to free up some money in your budget. The start up costs can be a little overwhelming, so I’ll share my best ideas. If you’re friends with some cloth diapering families, ask if they have diapers they’ve outgrown. My entire stash for Maeve came from one of my good friends. The only thing I added were some covers, prefolds and bamboo inserts. Cloth diapering is really not hard. Even with a houseful of children, I’m able to keep up with laundry by throwing my diapers in overnight to let them soak while we sleep. If you’re just getting started, there are loads of articles to help answer your questions. Nervous about taking the plunge? 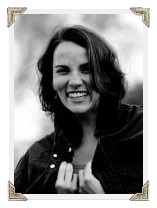 I LOVE the start up plans from Kelly’s Closet and Diaper Junction. You can try cloth diapers to see if they work for you. If not, there’s a 30 day money back guarantee. I have no problem with used diapers. I disinfect them before putting them on my children — just like any other article of used clothing I own. You can create a diaper stash at a fraction of the cost of new. You can check Ebay or Diaper Swappers. Diaper Junction even has some Certified Pre Owned diapers for sale on their site. 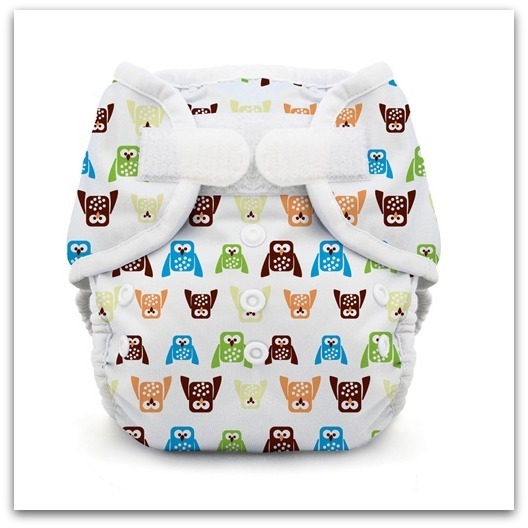 Prefolds and covers are your cheapest route to cloth diapering. The covers last a long time, dry quickly, can be used more than one time between washes, and can go from newborns up to potty training. 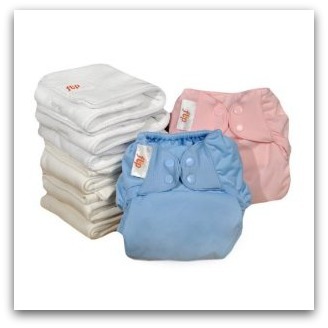 Pocket diapers and all in ones (AIO) are very convenient and most like a disposable diaper, but they can be costly. You can create a gift registry while you’re pregnant and ask your friends to help buy cloth diapers, wipes, wet bags and other accessories. Amazon, Kelly’s Closet and Diaper Junction are great places to start building your baby registry. If you’ve got a local natural parenting store, check with them as well. Cloth diapering doesn’t have to be a full time, 24/7 adventure. We use cloth diapers at home, during the day. I don’t take them with me on vacation or when we’re out and about for playdates. Do what works best for you. 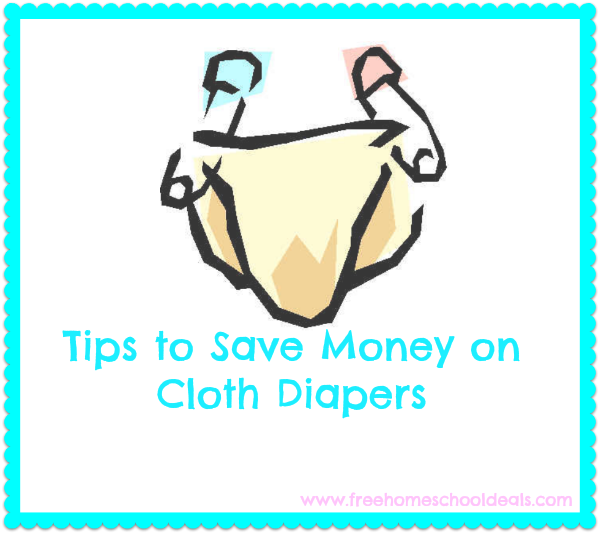 Even if you just use a few cloth diapers a day, you’re saving some money. Want an easy way to cut costs out of your diaper budget? Give cloth wipes a try. 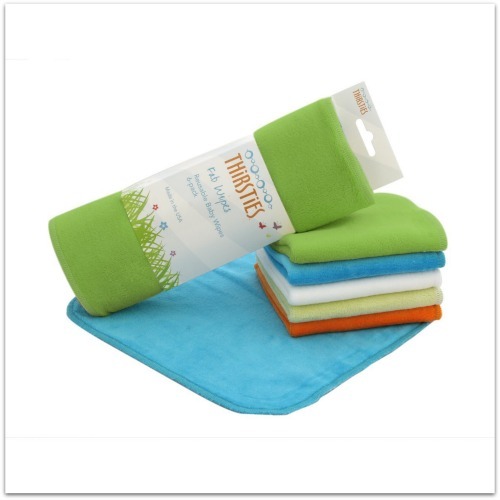 All you really need are some baby washcloths and a little warm water or mild baby soap. If you’re a DIY kind of girl, it’s easy to make your own cloth wipes. You could use these on the baby, older siblings, or even yourself. 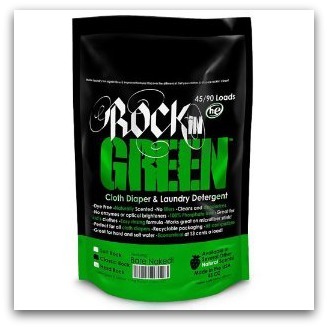 They’re soft on delicate skin, easy to wash and reuse, without any worry of harmful chemicals. You can start when your babies are tiny or any time before potty learning is complete. My first foray into cloth diapers came when my daughter was 18 months old. We still had plenty of diaper wearing time, plus I knew I’d be having more children. Added bonus? If you’ve got the space and keep your cloth diaper stash neutral, you can use them again on smaller children. If you’re nervous about making the leap to cloth diapering, what about going halfway? If you’re handy with a sewing machine, you can make your own cloth diapers. 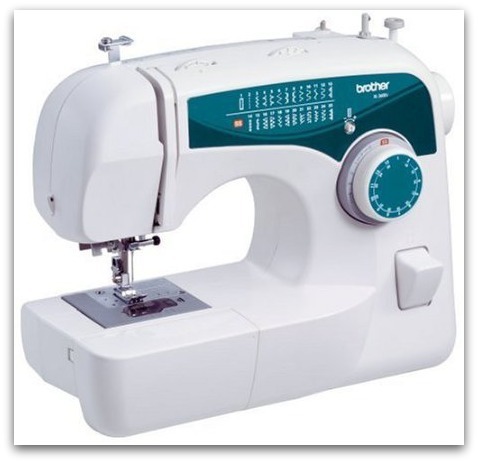 Head over to Diapersewing.com for tips and tutorials. Do you have tips for saving money on your cloth diaper budget? Be sure to leave your thoughts in the comments. Pros to these are the snaps instead of Velcro seem to last much longer(I really did not like the velcro), and cozy on the legs and waist(which I felt my Gdiapers really lacked) . Because of the buttons they are S M L all in one! The designs are so cute and some of them are velvet feeling on the outside too. 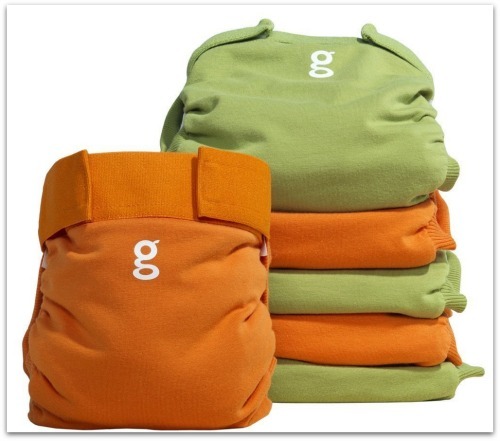 I do use the cloths that come with these, but prefer the G diaper brand Gcloths. * I requested the “extra protection” described in the custom order section. I am really pleased with them. I would also recommend buying used cloth diapers on Cloth Diaper Trader (http://clothdiapertrader.com). Another great way to build your stash is to but seconds. Cottonbabies.com has great seconds deals on bumgenius products a few times a year. I have never gotten diapers from them that were obviously a second! Clearance sales from online shops are another great way to score a bargin.